Recently I heard of a report out of the UK concerning a study conducted to determine the precise age at which people should stop wearing jeans. This grabbed my attention, I wondered how much such a study would cost, who would pay for such a study and who the subjects of said study would be. The study was funded by a parcel delivery and return service firm, CollectPlus which only made ponder why a delivery company would care about who does or does not wear jeans. Somehow this study magically determined that the age at which we should all stop wearing jeans is 53. This I found slightly depressing since I am still wearing jeans and apparently have passed my expiration date for doing so. 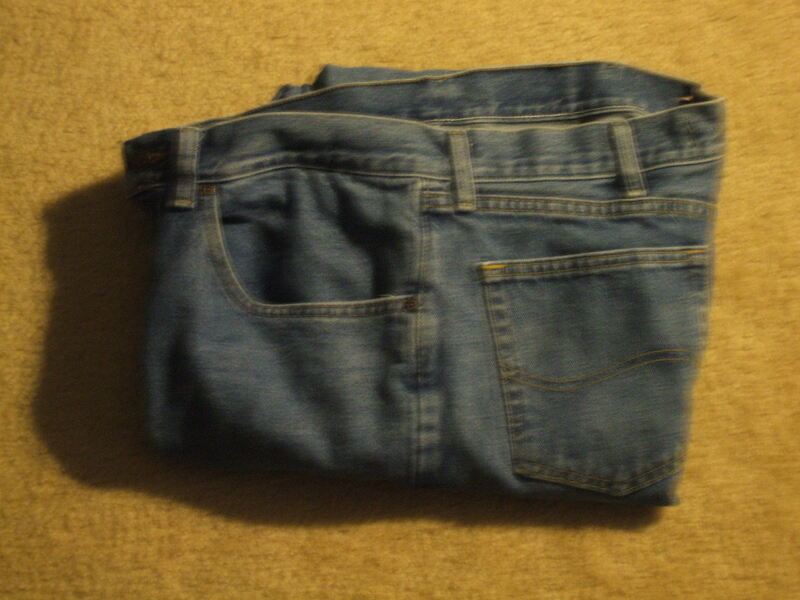 The article also addressed the difficulty encountered in finding the perfect pair of jeans. It was determined that some folks spend up to five days looking for the ideal fit which lead me to conclude that people in Britain have a lot more time on their hands than I do. The study also delved into the “hidden costs” involved in finding that perfect pair of jeans (beware sometimes it may be difficult to hide things in a pair of jeans) like adding up the costs of driving to the store, parking, and postage (postage??). The study determined that these costs can amount to £33 ($41). Since these hidden costs amount to more than I would spend on a pair of jeans, I next concluded that people in Britain have more money to squander than I do. The study further revealed that the stress experienced while jean shopping led 6% of would-be jean shoppers to become so upset they burst into tears. Which lead me to conclude that people in the UK are much more emotional about clothing than I am. I do understand that finding a good fitting pair of jeans can be a bit problematic. I get it that not every brad fits everybody. I can clearly recall the slight disappointment I felt as a teenager when I finally realized that I was never going to wear Levi’s or at least never wear them and be comfortable. So in my younger days, I became a Wrangler kind of guy which was obviously not as cool, but Wrangler fit. After reading a couple of articles about this study and carefully consider all options for at least forty-five seconds, I concluded that I will continue to wear jeans into the foreseeable future. I have also concluded that I will not fret over finding the perfect pair od jeans and I will not let the hidden costs of finding jeans take its toll on me and I promise I will never shed even a single tear in my blue jean search. I will even offer you some simple guidance to enjoy your jeans journey. Here is my plan: find the nearest Kohl’s, go to the clearance rack, look for a pair in your size, try them on, head to the checkout and head home. Enjoy today, tomorrow and well past 53. This entry was posted in Humor and tagged jeans on November 29, 2016 by Leonard. Wait, I know I have expired jeans!